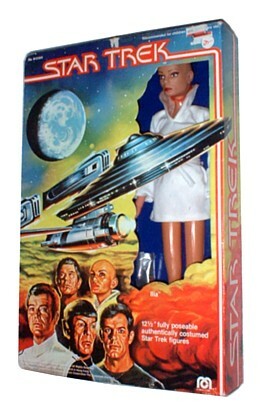 The 12″ Line was a more logical assortment (forgive the pun) as it merged aliens with crew and gave them weapons! What a good idea. 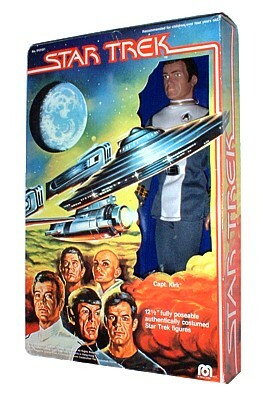 No slouches in the likeness department, Mego captured the Trek crew very well. Too bad the movie uniforms resembled pajamas! 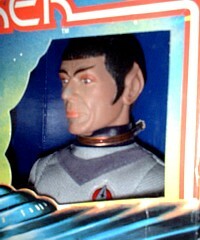 Spock really looks like an aging Nimoy. 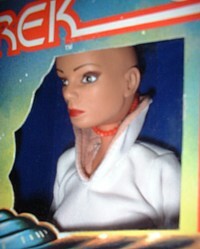 Ilia features modified Wondergirl necklace, but they’re not the same. Michael Farence provides all the scans. Anybody want to offer a look at the aliens? 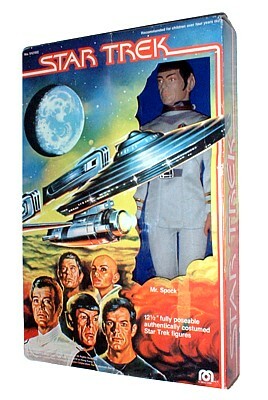 The 12″ Klingon is a testament to the quality work can produce, this figure has yet to be produced so nicely again. 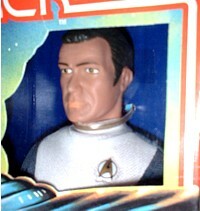 Decker is by far, the hardest to find figure. 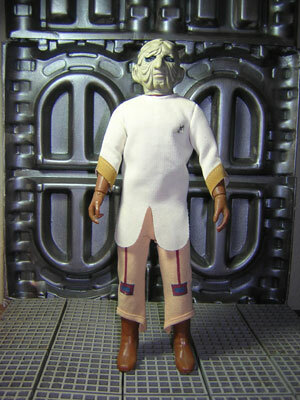 12 inch-Arcturian, a rare and unusual SSTMP figure. Photo courtesy of Chuck!